An elegant perfumed Brouilly with a core of ripe red cherries dusted with tobacco. Delicate red berry aromas lead to a medium-bodied, round palate with ripe Morello cherry and sweet spice. Moreish, savoury and refined. 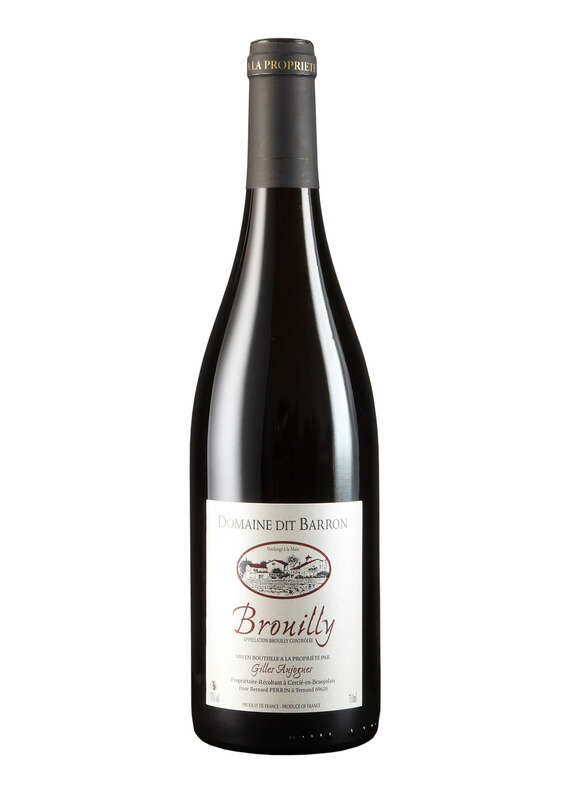 Muriel and Gilles Aujogues own 18 hectares of vineyards, 11 of which are situated within Brouilly. 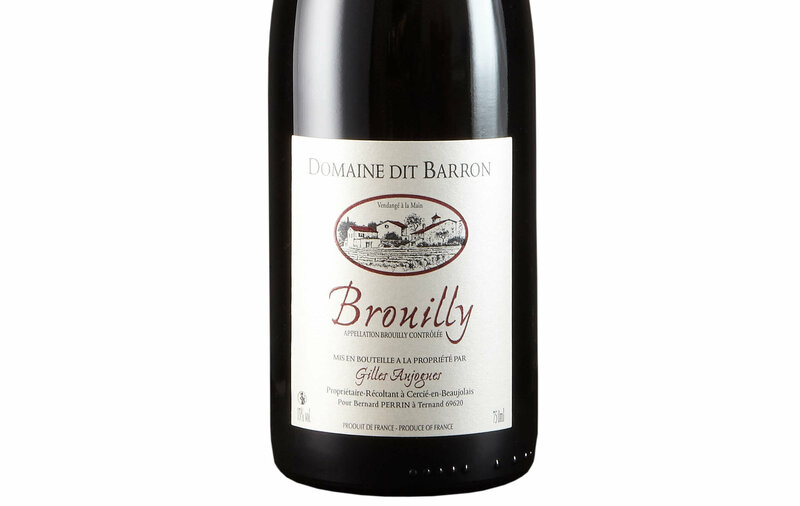 The name Domaine Dit Barron refers back to one of the Aujogues ancestors who was winemaker for a baron. When war brought the departure of young men, the baron’s son went to fight whilst the son of the vigneron remained. 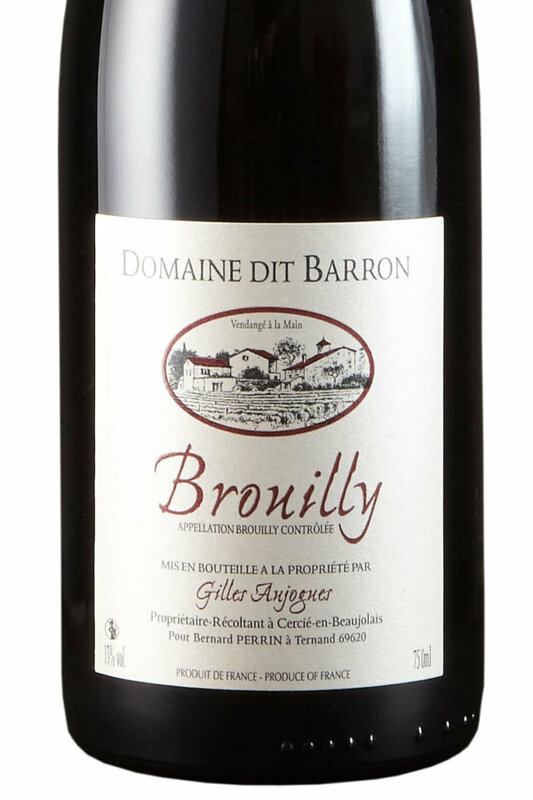 Instead of asking the vigneron’s son to go in place of his own, the Baron handed him his title of nobility. Located north of Lyon, the Beaujolais region covers the northern tip of the Rhône Valley appellation and the southern point of Burgundy. 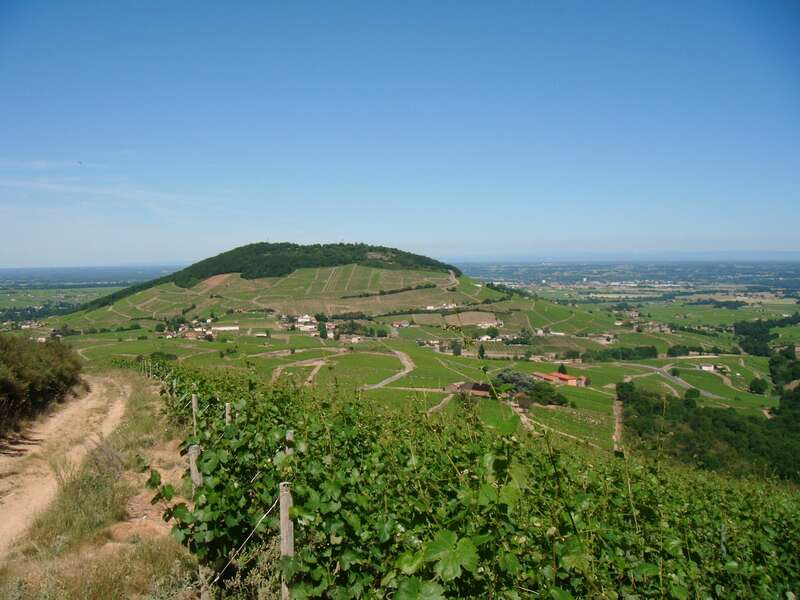 Considered as part of Burgundy in terms of administration, the region is more similar to the Rhône Valley in climatic conditions. However, it is sufficiently different to both areas to be entitled to its own appellation. Semi-continental in climate with long warm summers; there are occasional violent storms which can cause devastation amongst the vineyards. The soil is predominantly granitic. After being carefully hand-harvested, the grapes are fermented using a method typical to Beaujolais production – carbonic maceration. The grapes are gently pressed as whole bunches; the weight of the grapes themselves often do most of the pressing. The free-run juice comes into contact with the natural yeasts on the grape skins and automatically commences fermentation. The fermentation is monitored carefully and controlled at low temperatures for 8 -12 days.